Here’s a picture of me in my new armor. Hello from Istan. 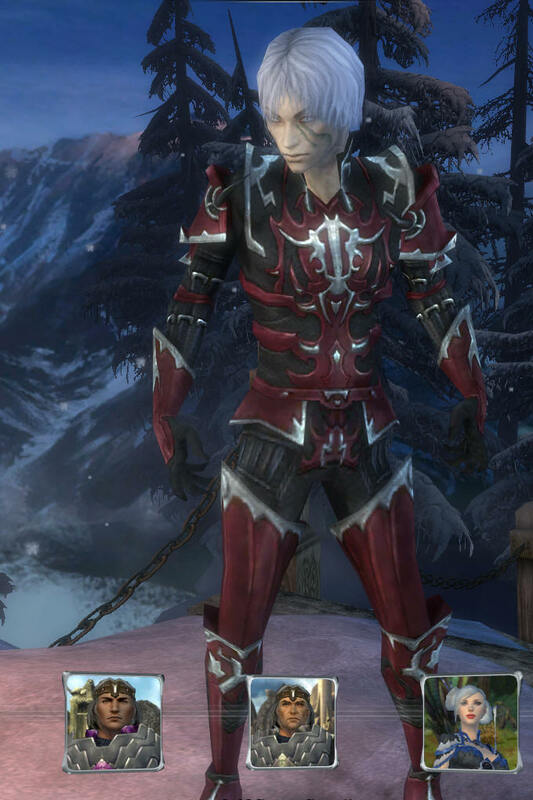 Just a short note to let you know how I am doing and to thank you for the fine new Elonian Armor. 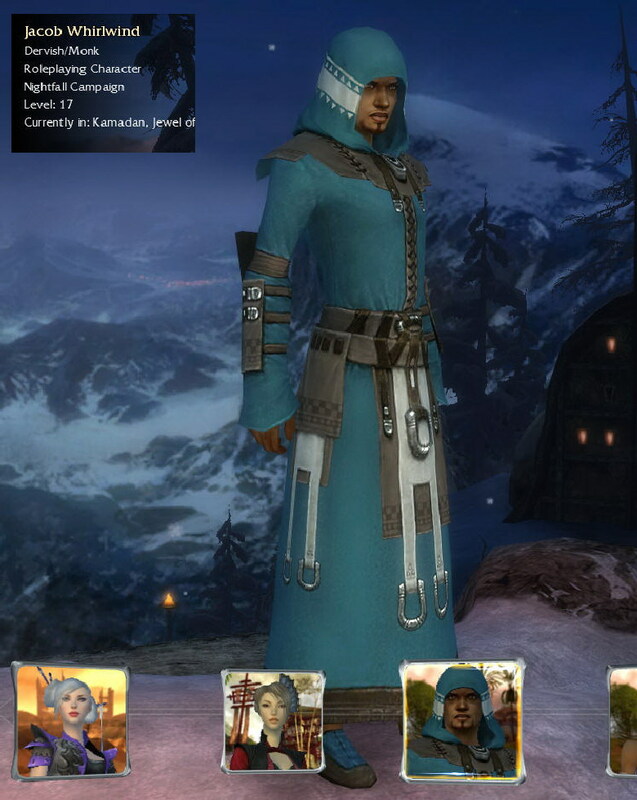 I now have gone through the Trial and have purchased my armor at the Consolate Docks. Here is a picture of me in my armor. I’m now a level 20 and ready to progress in the fight to save Elona from Nightfall. Congratulations to Sandy for getting to Sunspear Commander before I did. Thanks, Sandy, for putting me onto the bounty points. I have made quite a bit of progress since the last time I wrote. There were excellent folks that I met to do the Borlis Pass and Frost Gate missions, so that I was able to get to Beacon’s Perch. From there, I got a runner to get me to Lion’s Arch. I decided to forego the trip to Droknar’s Forge and get my high-strength armor at Boreal Station, the entry point from Lion’s Arch. Two days ago, all my brothers and sisters worked hard for me to save the money and materials for my strong armor. At that point I made sure that I had a run skill to keep up with Vekk and then took off for the Eye of the North to get my armor. At this point I have the help of Ogden, Vekk and MOX and am doing missions in Kryta. Thanks to all of you for providing the funds and materials for my armor, I am forever in your debt. As you can see, I have chosen Tyrian armor and have died it red in the color of the blood of my profession. My brothers and sisters have also collected powerful weapons for my use and I am equipped to grow to a level 20 with my armor, weapons and heroes. I am pleased to hear from my brothers and sisters about their armor and am pleased to have helped with their armor and weapons. For my part, I have recently had some news from the Far Shiverpeaks. Jora has wanted a pet for sometime. After hearing about the pets of our other heroes, we decided to try to get her a wolf. At first we spent many hours trying to find her a White Wolf, but at long last, we gave up and went back to Yak’s Bend and got her a lovely Snow Wolf. He is growing quite quickly and is now up to level 10. 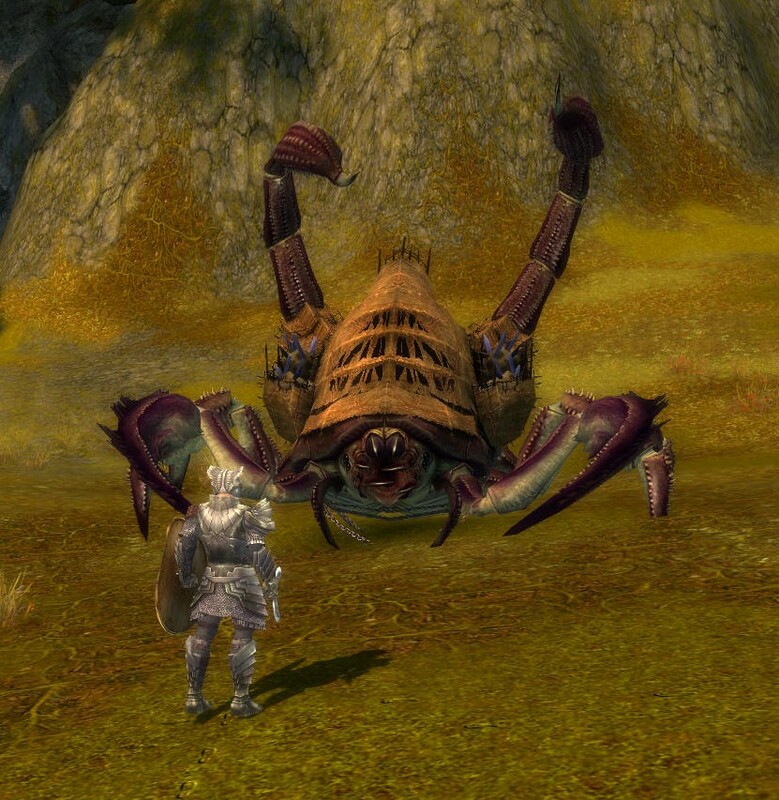 Today we took our fight to the Charr to help the Ebon Vanguard, and were victorious against the Charr outpost. Let me tell you, it is quite exciting to take the form of a Siege Devourer. The SD is a lot like a tank. It is very powerful and very well armored. During the actual battle, we did not use the SD, but made sure that the Charr did not have use of theirs either by taking them out before the battle. I’ll write soon with pictures of Jora’s wolf.